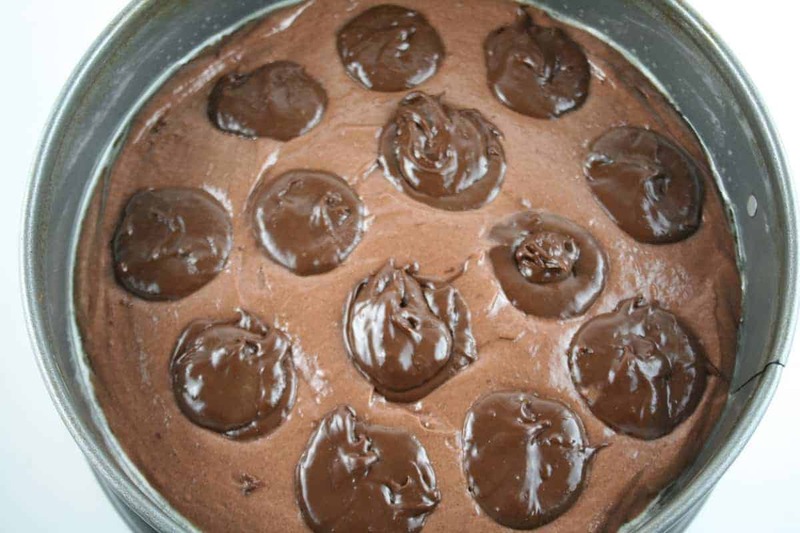 Macadamia Fudge Torte won the 37th Pillsbury Bake-Off in 1996. Recipe on Pillsbury.com by Kurt Wait of Redwood City, California. Fun fact – Kurt Wait was the first man to win the Pillsbury Bake-Off. 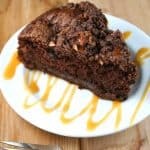 He knocked it out of the park with this rich, fudgy and nutty cake that’s even better with ice cream and butterscotch caramel sauce. 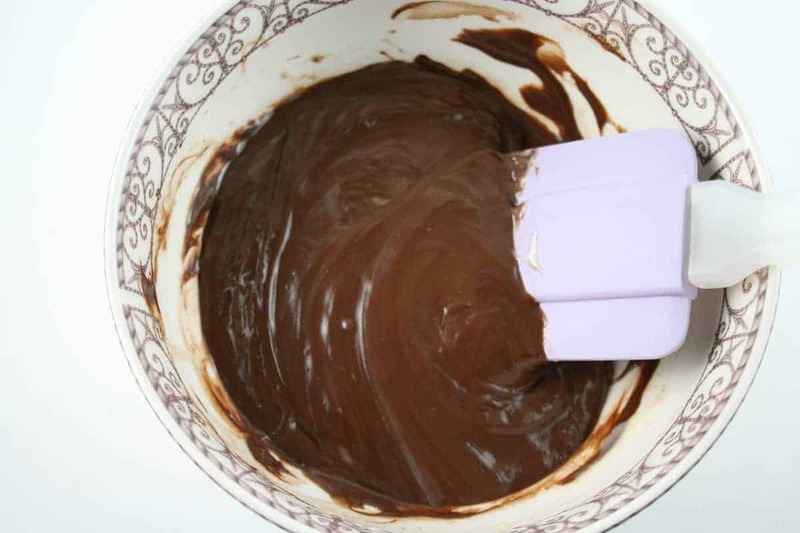 Start by making the filling which is melted chocolate and sweetened condensed milk. Set aside. 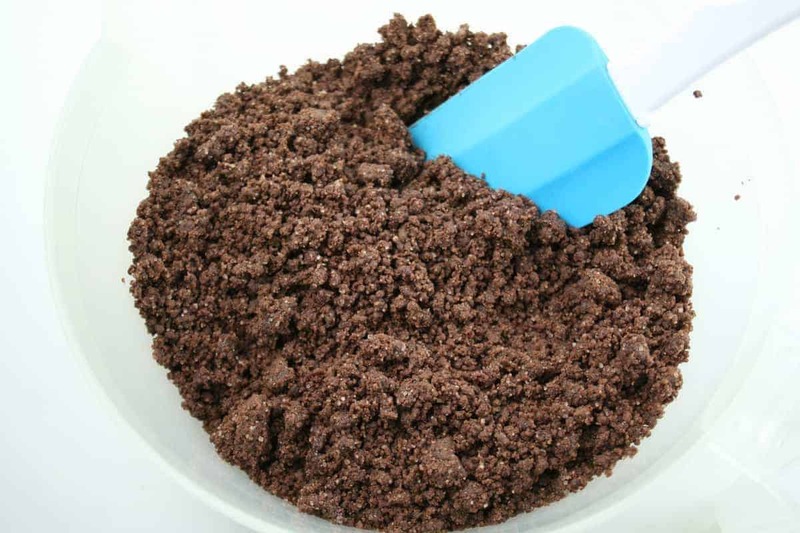 Combine cake mix, cinnamon and oil to make this crumb-like mixture. Take 2 1/2 cups of the crumb mixture, add pureed pears and eggs. Mix well. Now you have your batter. Pour the cake batter into a greased 9 or 10-inch springform pan. Add dollops of the chocolate/sweetened condensed milk mixture. 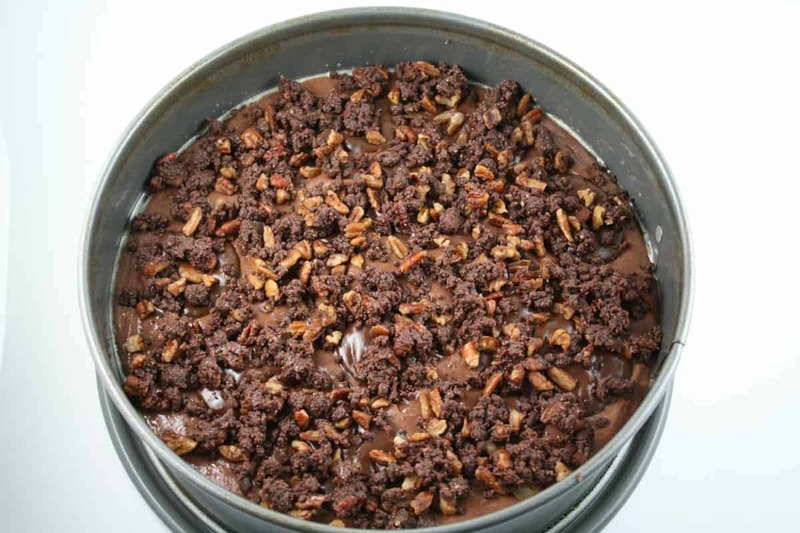 Add reserved crumbs and nuts to the top. Bake at 350°F. for about 45 minutes. This is how your baked cake will look. Let cool. 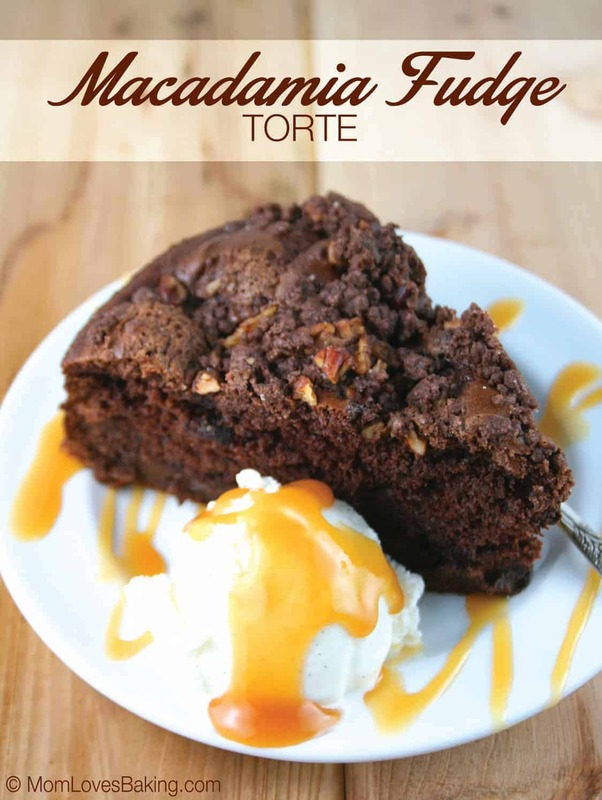 Serve with ice cream and butterscotch caramel sauce. 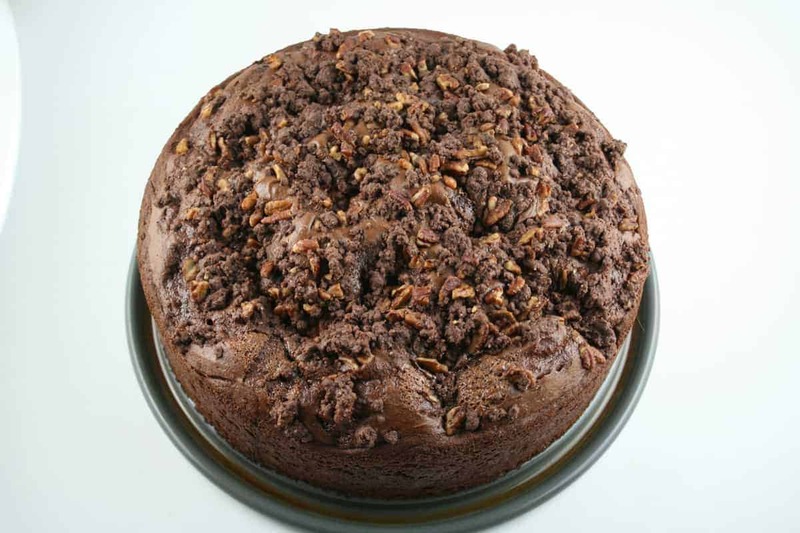 The fudgy dollops of melted chocolate add a creamy surprise when you bite into this cake. Heat oven to 350°F. Spray 9 or 10-inch springform pan with nonstick cooking spray. In small saucepan, combine filling ingredients; cook over medium-low heat until chocolate is melted, stirring occasionally. In another large bowl, combine 2 1/2 cups of the cake mix mixture, pureed pears and eggs; beat at low speed until moistened. Beat 2 minutes at medium speed. Spread batter evenly in sprayed pan. 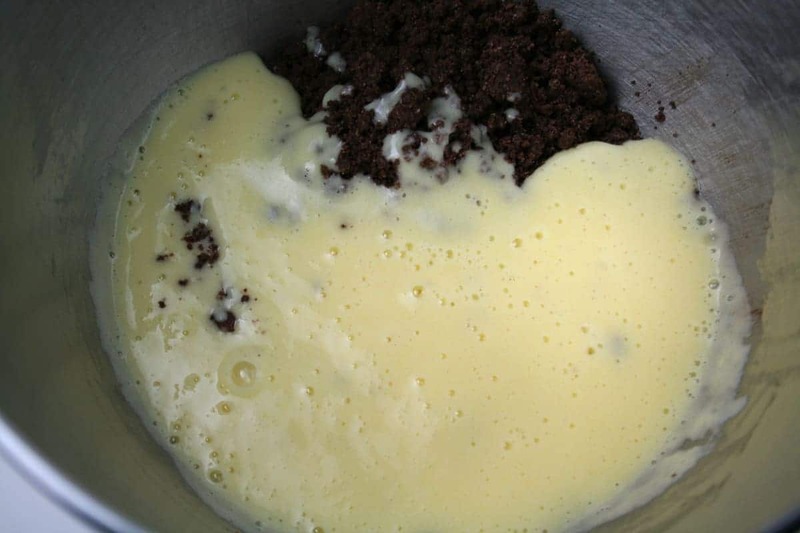 Drop filling by spoonfuls over batter. 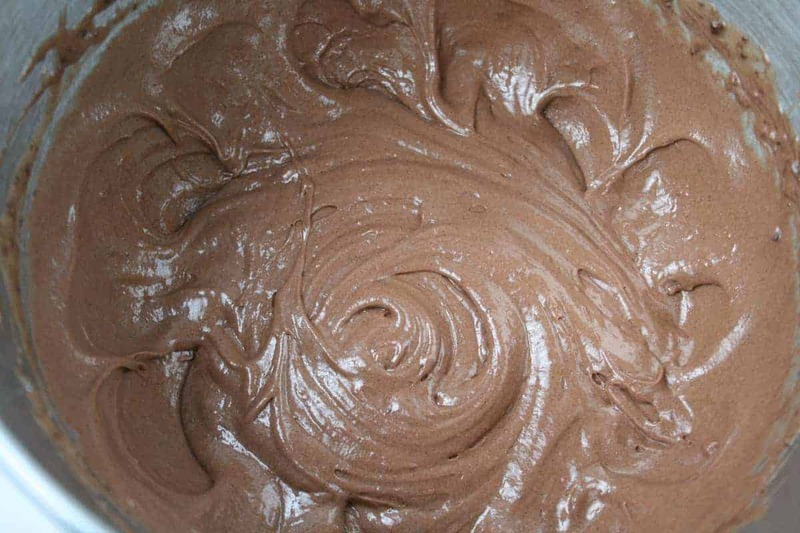 Stir nuts and water into remaining cake mix mixture. Sprinkle over filling. Bake at 350°F. for 45 to 50 minutes or until top springs back when touched lightly in center. Cool 10 minutes. Remove sides of pan. Cool 1 1/2 hours or until completely cooled. In small saucepan, combine sauce ingredients; cook over medium-low heat for 3 to 4 minutes or until well blended, stirring occasionally. 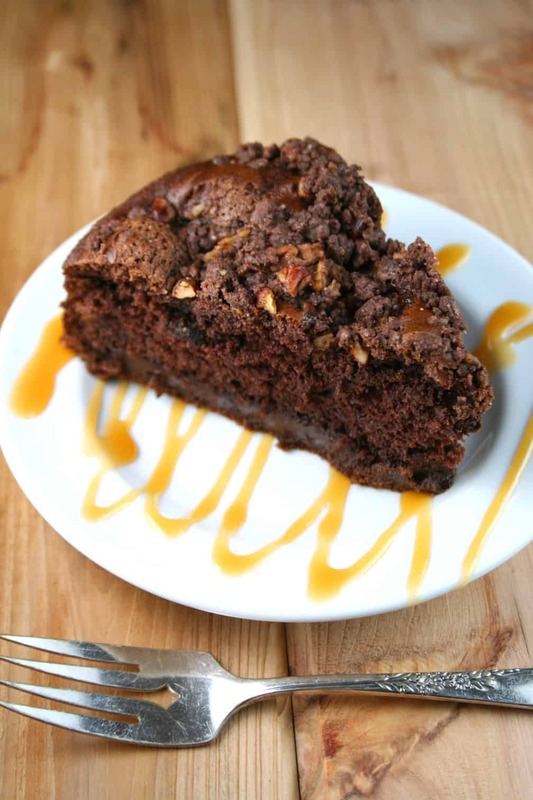 Just before serving, spoon 2 tablespoons warm sauce onto each individual dessert plate. Top each with wedge of torte. If desired, serve with ice cream and garnish with chocolate curls.